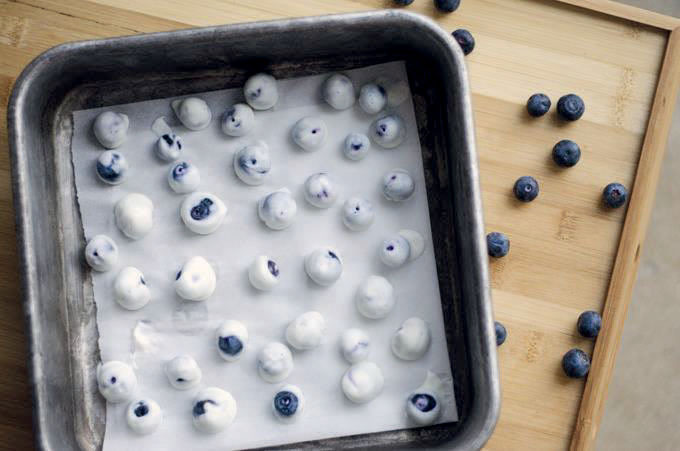 Frozen Yogurt Blueberries | Louisiana Grown | Real. Fresh. Place single-layered on parchment or wax paperlined cookie sheet. Eat immediately or store in an airtight container in freezer.